Do you have any questions about CS6 or CC? Just ask them below and we’ll get you answers fast! I’ve been trying to learn how to use Open Type fonts but have been unsuccessful. When the type box is open, the options to add swashes etc is not available. Also, most of the fonts available in CS6 are not OpenType; how do I get them? Marla, have you tried the Adobe Support Pages for the product? Hi, I purchased Adobe Creative Suite 6 Design Standard through my university. I came with a disc. My new 27″ iMac has no CD-drive. How can I install it? Surely you have a site from which I can download it. I’ve looked through your “Downloads” page with no luck finding what I’m looking for (I’ve purchased this thing, I have a serial number for it – I don’t need a trial version). Yes Beck, actually you just download/use the CS6 trial version – and then enter your valid purchased serial number into the program to convert it to permanent. Adobe Photoshop is really for professional designer. is there something like this for the new CC releases? In the meantime, using these CS6 ebooks here will give you a good leg up on the new Creative Cloud versions, as many of the features and tutorials carry over from Creative Suite 6. Just download the free ‘CC’ product trials and get started. Will these e-books & videos posted prepare a person for certification, or is it better to buy the training books & videos that the Adobe site sells? Sure – well certainly you can start with these, as they’re absolutely free – and then take it from there… Whether or not you buy the books, these will provide you a great start and foundation that cannot hurt. When I clicked the sign in button, it didn’t respond my click anymore. What can I do? Hey Fikri, did you get an error or message of any kind? We’d suggest trying it with a different web browser (or computer) and see how it goes… Or clear your browser cache and cookies, restart, then try again. 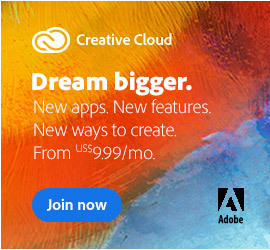 Hello Nelson, that’s easy – you can instantly download the free trial with the Adobe CC direct links and install/run it on your computer for 30 days (or even 60 days). Hi guys…! How can i download these books…??? Hi Sophat, you should just be able to click and go on the book titles… then log in with your Adobe ID and download whichever CS6 books you want. If you’re getting any particular message or problem/error, please post the exact text of it here and we’ll try to help figure it out for you. Sure Hamid – you can download a Dreamweaver CS6 book from the link given in article. 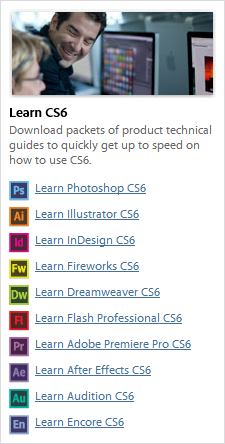 Just click on “Learn Dreamweaver CS6” in the table above. Recently there’s also been a newer book published called Adobe Dreamweaver Basics which you can download as well – and it covers CC, CS6, CS5.5 and CS5. I was just wondering if CS6 and CC are the same basic stuff? 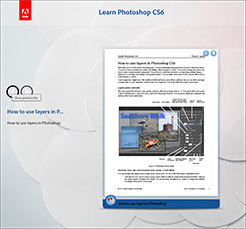 I got a book for CS6 but i’m receiving CC, could i apply the stuff for CS6 to CC? For any given Adobe creative tool like Photoshop, InDesign, Illustrator, etc., the core elements of the applications are similar so most of the content in your CS6 books should continue to work OK with the newer CC 2014 products. But the key thing to keep in mind is that the CS6 version (which came out in spring 2012) almost 3 years older now than the Creative Cloud, and all together CC has added over 1,000 new features and improvements over CS6. So definitely not everything will be the same, and you’ll be missing out on learning about the newer cool things. 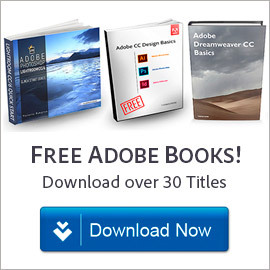 If you’re looking for some newer books that also cover CC in addition, then check out our set of over 20 free Adobe books that you can download. I’m trying to access the .pdfs listed in the menu above (https://prodesigntools.com/edex/resource/e147e75b7a#comment-66823fa8-380f-4244-97b5-179b7f3687cd) but all of the links take me to the same page. Then if you would like any other books, just click on the additional links from that page (i.e., Illustrator CS6, InDesign CS6, Fireworks CS6, Dreamweaver CS6, Flash Pro CS6, Premiere Pro CS6, After Effects CS6, Audition CS6, and/or Encore CS6) to download them. You can also access whichever books you want by using the table in the article above. Hope that takes care of it for you; if not then just post back! My daughter is currently in Taiwan and needs CS 6. She needs a link to download the software instead of having the software shipped. 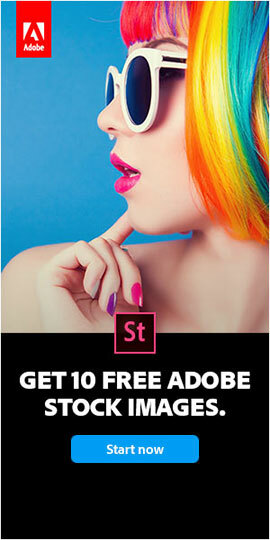 How do we go about purchasing CS6 so she can download the software? I had an Premiere CS6 that I paid for upfront a long time ago. Now It’s saying I need to subscribe to keep using it….I have a project due this weekend, and now I can’t use my program….please help..
Hey Patrick, what exact message did you receive? Did you try googling that? Try signing out from the application (using the Help menu), rebooting your system, and then starting it up again. use the book to say thank for your effort . Guys, pls i have a very big problem. Want to learn how to design website banners with my navigation menu on it, but don’t know how to go about it or which app to use. Really want my sites to look good. Pls can anyone help me? Hi Nnanna, for designing website banners it would depend on whether you want them to be static or animated… For static banners you would just use Photoshop. 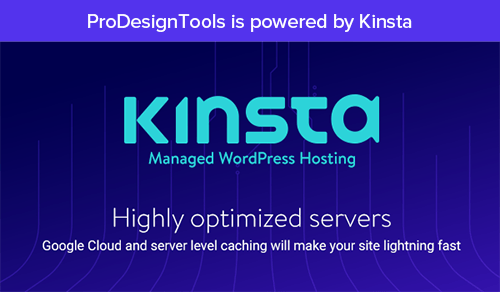 For animated banners, you would use either Flash Pro or Edge Animate. Hi guys, i have a big problem in Adobe Illustrator – could you please help me or teach me something… i like the program, so please help. They’re still available for downloading via the table given in the article above. I`m restarting my self-education for the Design Suite, so I can get back to freelancing. These books look GREAT but I’m a bit confused with where to begin. I don’t have the programs yet, and at some point plan to use the 30-day trials, plus maybe a month or two of subscription. BUT….I`m a “learning-difference“ person, and really NEED to simply familiarize/orient myself with the overall program(s) FIRST….so I don`t waste time just trying to absorb the basics of what each program can/will do. 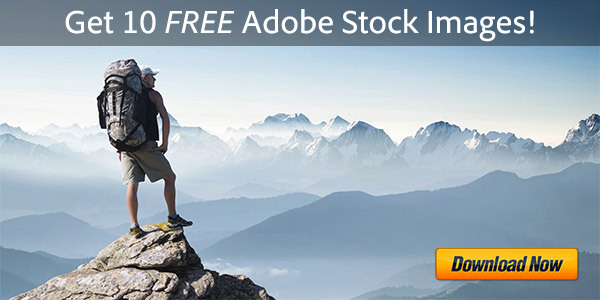 Does Adobe have books to address that? I see a “primer“ for Photoshop….are there primers for the rest of the Creative Suite? I really need printed reading material, not vids, as that takes too much data (cant afford that, right now). To request the free book links to be delivered to you, just enter your email address here. I was excited to get the free books from ProDesignTools but sat here for a long time having trouble downloading some of them. Then, after viewing contacts and when they were posted, most of them are a couple years old! Not much of a help to me, beings that I am a Creative Cloud member since day one. I was hoping for up-to-date resources. Rather disappointed. Can you please tell me how to insert the search bar in Dreamweaver, as i have just lost it… I dont know how, but how can i install back for free and how can you help me with this issue? How to Restore the Search Bar in Adobe Dreamweaver?